Nervous or curious about the recent changes to the SAT? 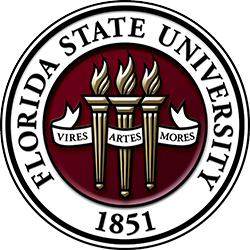 Florida State University has everything you need to learn and master the new format! The interactive, one-hour online review sessions allow students to participate and ask questions of our expert test prep instructors. The live-online review sessions are also recorded—students can still benefit even if their schedule doesn’t allow live participation. Review sessions will be scheduled between the end of your course and the fall test dates. The SAT Summer Institute is ideal for students that need an intensive preparation program during the summer. This one-week institute is held over 4 consecutive days and requires students to continue to practice their skills in the weeks and months leading up to their fall test date. Students are expected to actively participate in class and in the online review sessions. 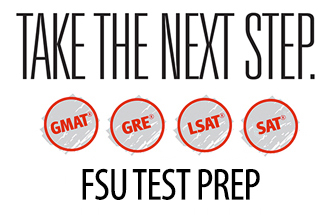 FSU’s Test Prep Program is a partner with Educational Testing Consultants, a leader in higher education test preparation. 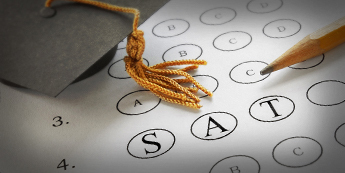 Each year, Educational Testing Consultants helps thousands of students prepare for the important pre-college standardized tests at major colleges and universities across the United States. Educational Testing Consultants provides a proven program with a record of success and highly trained, top-quality instructors. This course will meet at the Florida State Conference Center located on campus at 555 W. Pensacola Street. For more information call: (850) 644-3801 or use the contact form below. Don’t See a Program Near You? University Test Prep also offers customized SAT and ACT Test Prep programs for schools, nonprofit organizations, and community groups. If you don’t see a program near you or would like details about our custom programs, please contact us using the form below.